Through the lens of a rock documentary, Wasted gives an access-all-areas account of the struggles, heartbreaks and triumphs of the three Brontë sisters Charlotte, Emily, Anne, and their brother Branwell. Brought up in a remote, poverty-stricken town in Yorkshire, without money or opportunity, they fought ill-health, unrequited love and family feuds to write some of the most celebrated literature including Jane Eyre and Wuthering Heights. Never afraid to rebel against expectations, the lives behind the pages expose a struggling, squabbling, ferociously driven, drug-fuelled crash and burn trajectory from obscurity to celebrity and ultimately to their untimely deaths. 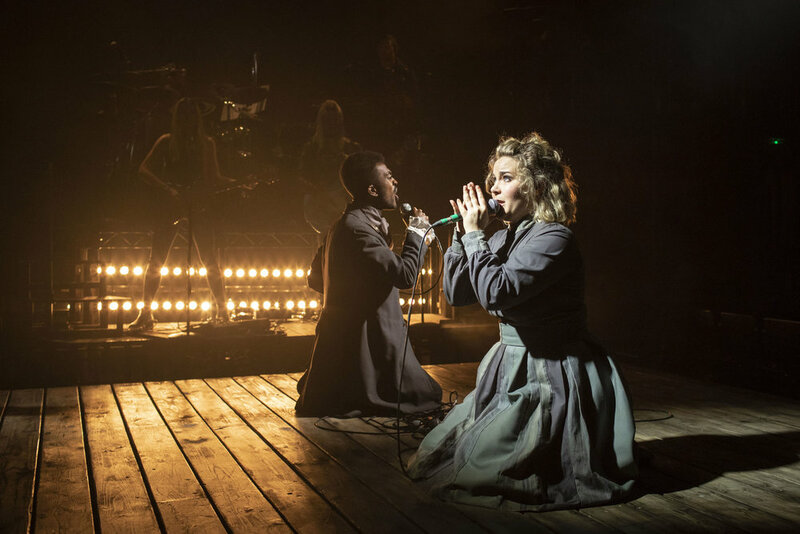 Coupled with a rock score from Christopher Ash (Showstoppers – Oliver Award winner for Best Entertainment), book and lyrics by Carl Miller (Emil and the Detectives, National Theatre), directed by Adam Lenson (Superhero – Off-West End Award for New Musical), the Brontës ask – was it all wasted? This is the Brontës as you’ve never seen them before. Adam Lenson’s vivid production taps perceptively into the untamed energy of this moor-roaming clan, the “nobodies from nowhere” who revolutionised English literature. Adam Lenson, master of the fringe musical, brilliantly directs the excellent cast. Natasha Barnes makes Charlotte a sensible older sister, matronly and in charge, while Molly Lynch is an introverted Anne. 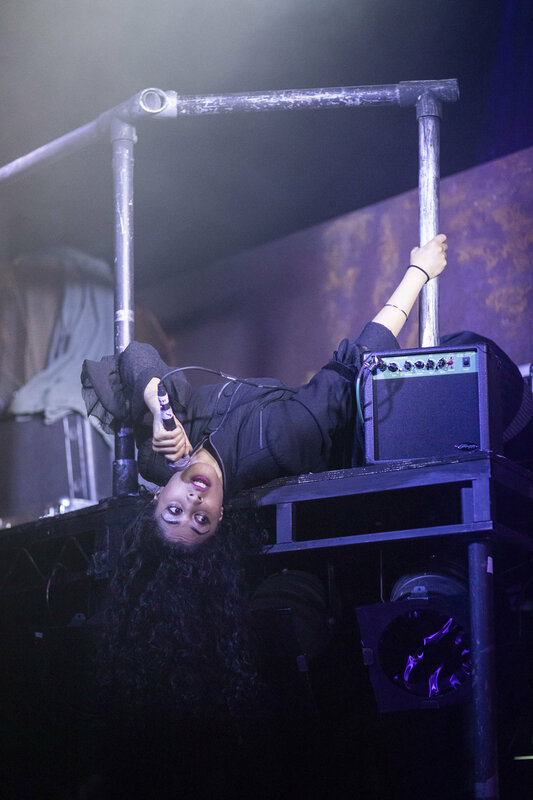 Siobhan Athwal’s Emily is weird, twisting her face and twirling her hair and switching psychopathically from smiling to glaring. Adam Lenson’s playful production astonishes on many levels. This dark, rollicking piece is as far removed from your average musical as Sarah Kane’s plays are from Noël Coward’s. The aesthetic is reminiscent of Spring Awakening but the attack recalls the pain and fury of the original Hedwig And The Angry Inch. The contrast between the hard scrabble existences of the Brontës and the enriching literary legacy left behind is conveyed with a searing, moving simplicity. Music is at the centre of the scene throughout the show: every letter and prop is related to it, from sheet music to all the padded aluminium cases they use as props. As they enter, the actors plug in their microphones to the outlets in the middle of Libby Todd’s wooden stage, a large square made out of wooden planks.